Occassionally you stumble across some cool accessories for arduino - here is one. 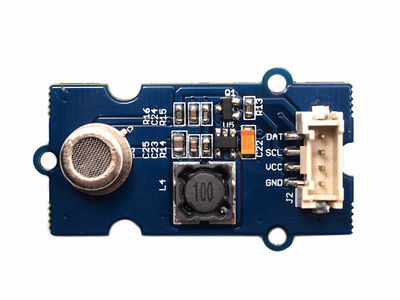 The Grove Alcohol Sensor is a complete alcohol sensor module for arduino devices - that provides good sensitivity measuring the amount of alcohol in the air. With a small amount of additional hardware it is possible to build a fully functional breathalyzer. In fact, someone already has - it is called the Droidalyzer which integrates the sensor into an small tin box using an IOIOMint board for android coupled with an android application with a myriad of features that will keep you honest and safe while you are out on the town. While the IOIOMint isn't an arduino device - I was able to hook one of the sensors up to a spare arduino UNO I had lying around and ran the sensor though its paces. It typically reports a value between 500 and 900, and a value over 650 indicates that there is alcohol present in the vicinity of the sensor. In the office we tested how quickly we could push its limits during a hack night with beers.